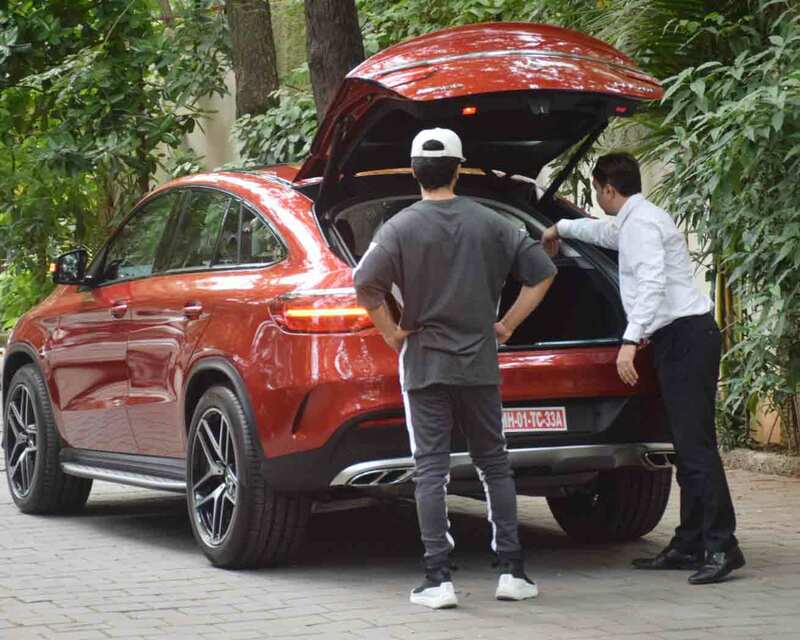 Actor Shahid Kapoor has gifted himself a new swanky pair of wheels. 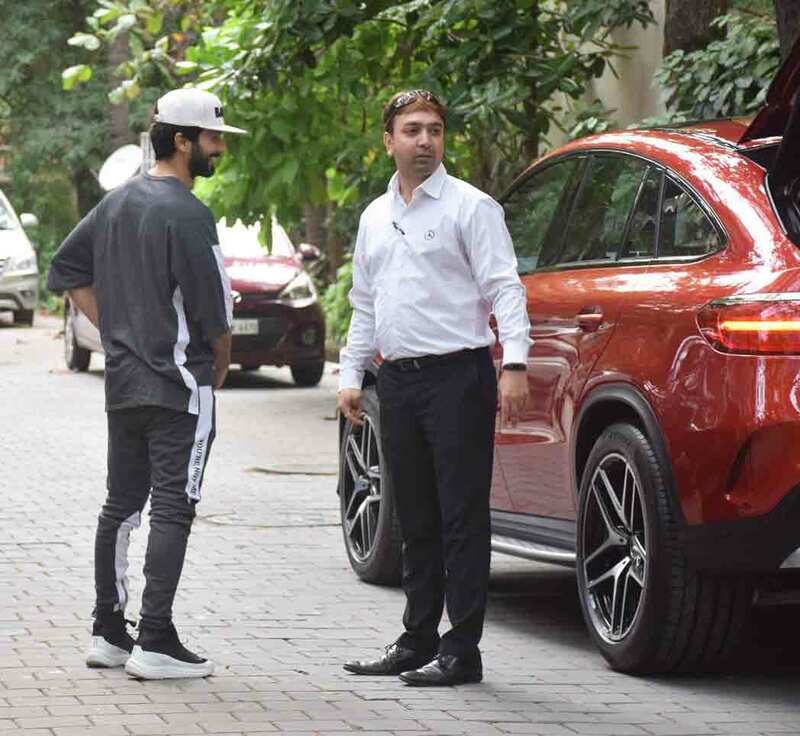 The actor was snapped at Bandra today, outside his gym with his new cherry red acquisition. 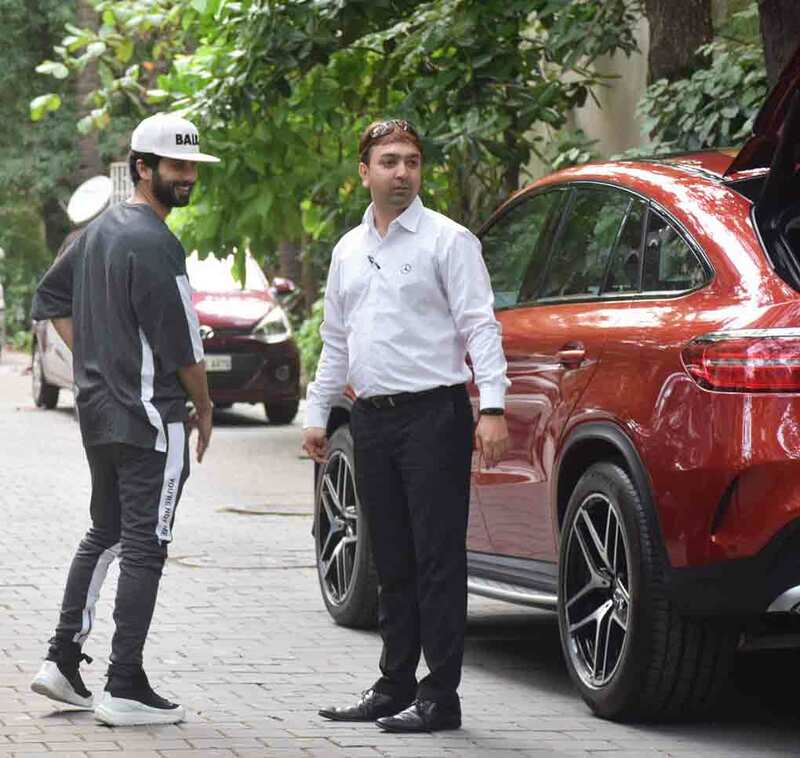 Shahid Kapoor, who is a regular goer to gym and never misses on his workout, was on Thursday spotted with his brand new Mercedes in the city. The actor flashes his sunshine smile to paps as he got snapped by them. 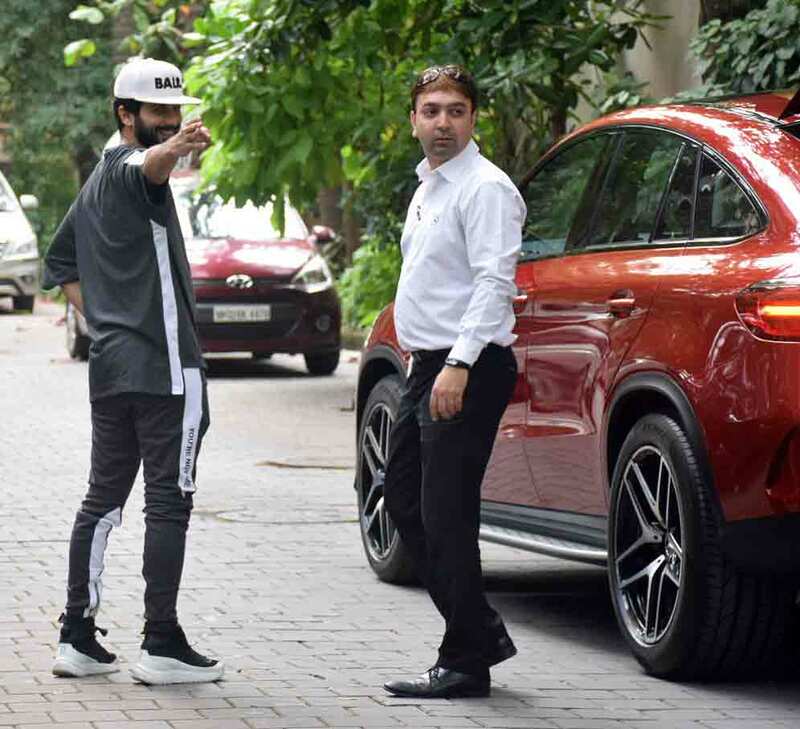 Shahid appeared in a jovial mood today and even posed with a 'Victory' sign before the paps. 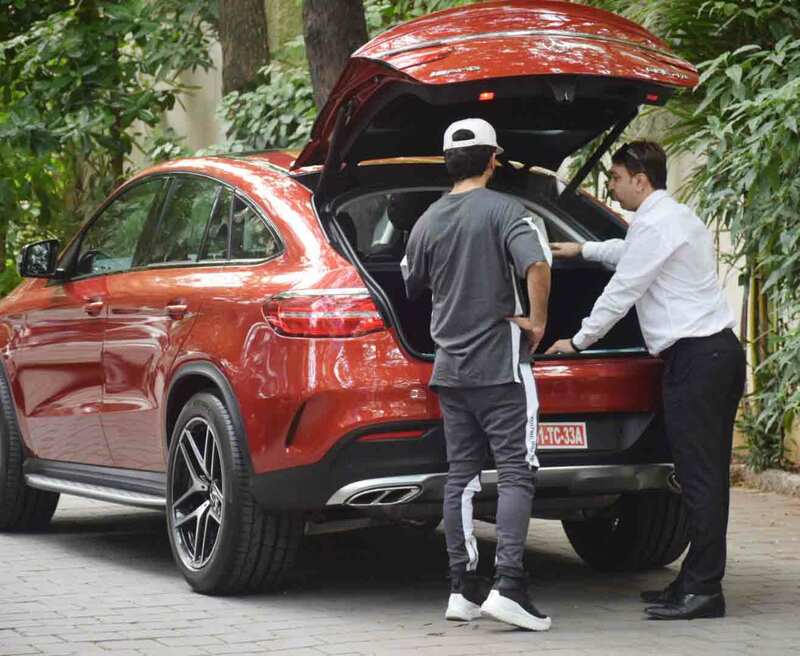 The luxury car's purchased by the actor comes only days after he bought a plush duplex in the city's Worli area. And as per several media reports, Shahid's new property is worth Rs 56 crores. According to a dnaindia.com report, Shahid has bought a duplex on Tower B's of 42nd and 43rd floor of a skyscraper named Three Sixty West. He paid 2.91 crore as stamp duty to the government for its registration, the report suggests. The sea-facing property is spread over 8,625 sq ft and will the actor will get 6 car parking slots. 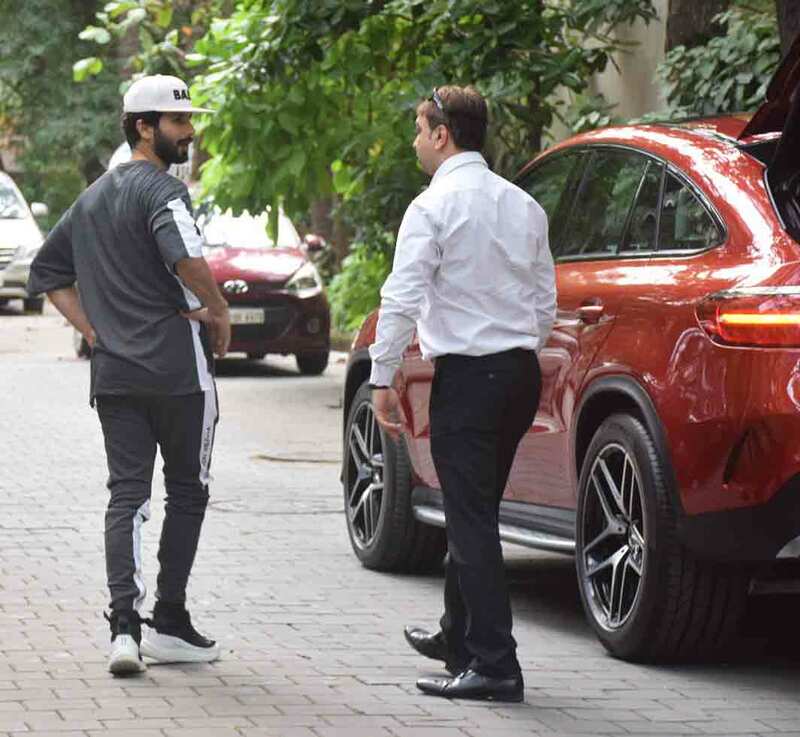 The deal was finalised on June 27 and the property was registered on July 12 in Shahid Pankaj Kapoor and Mira Shahid Kapoor's names. The Kapoors currently live in an apartment in Praneta Building at Juhu Tara Road. Shahid and Mira entered matrimony on July 7, 2015. The couple celebrated three years of marriage a few days back. They were blessed with daughter Misha on August 26, 2016. And now, the Kapoors are all set to welcome a new member to the family. Shahid and Mira are set to become parents for the second time. The 37-year-old actor is also set to become the newest addition to Madame Tussauds. He shared the news on his Instagram by posting a photo of himself with the caption, "Keep an eye out. Coming soon." On the professional front, Shahid will be seen in 'Batti Gul Meter Chalu' and the Hindi remake of Telugu blockbuster 'Arjun Reddy'.